Program summary: The ASPB Ambassador Program was established to involve students, post-docs and industry scientists in communicating ASPB’s mission to plant biologists and to the general public. The program provides opportunities for networking and development of leadership and science communication skills. The Ambassador program will become self-governing starting in January 2019 by a committee called the Ambassador Alliance. Officers for the first year will be appointed by the Membership Committee, but will be elected by Ambassadors after that. By-laws for the program provide more detail about the Ambassador Alliance. Program Requirements. The Ambassador program is open to members of ASPB who are students, post-docs or work in Industry. Ambassadors must complete at least 2 activities to encourage people to engage with ASPB and/or to communicate the importance of plant sciences, such as ones described on the list below. In addition, they must complete a leadership training (1-hour webinar or similar training) and provide a 1-2-page report at the end of the year. Partial list of approved activities (pick 2 or suggest an alternative). Note: The starred activities will be counted as 2 activities. Write an article for ASPB News, i.e. Luminaries, Member Corner, etc. For each year that the Ambassador completes the required activities, they will receive a certificate of participation and a chance to compete for Ambassador of the Year. The Ambassador of the Year will receive a travel grant to attend the next Plant Biology meeting as well as 1 year of free ASPB membership. ASPB staff can also supply a reference letter for Ambassadors when requested. An official ASPB Ambassador name badge to use when representing ASPB. Free registration to one ASPB regional section meeting. At each section meeting, Ambassadors in attendance may be asked to give a presentation, assist or manage a table/booth of ASPB materials or otherwise be a representative from ASPB. These tasks will be shared by the Ambassadors present. Discounted registration (50% off) to the Plant Biology Annual meeting. Hands-on learning programs that include leadership training sessions, mentoring and workshops to develop leadership skills and an understanding of organizations and how they are managed. Opportunity to prepare a science/research related video or podcast to be available on Plantae. Topic and timing must be approved prior to beginning work. Private online group network for ongoing discussions and Q&A. Ambassadors can fulfill part of the participation requirement by service on an ASPB committee. Applications for early-career committee appointments will be conducted by an open call, and selections will be made by respective committees. 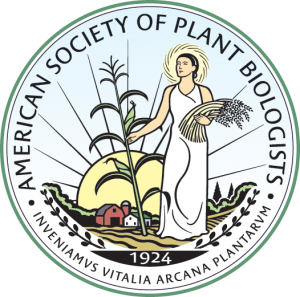 Opportunity to submit an article to the Plantae blog for editorial feedback and support, with the possibility of publication, especially regarding their activities as a leader in the plant science community or a representative of ASPB. Opportunity to interview established professionals for the Luminaries articles in ASPB News. Opportunity to apply for some funding to assist with Ambassador activities. A limited budget will be available that the Ambassador Committee will be able to provide to individual Ambassadors. Applications may be submitted through the online application system and will require the following information/documentation. 2 recommendation letters that address leadership skills and academics; one must be from the major professor (academic) or current supervisor (industry). What do you hope to gain from the Ambassador program? Applications to the program are currently being accepted, with a January 15, 2019 deadline. They will be reviewed by the Ambassador Alliance together with the Membership Committee Chair and the appropriate ASPB Staff.